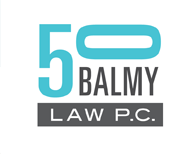 Elba Rivera | 50 Balmy Law P.C. Elba has worked with the firm since 2000. She handles all accounts payable and receivable, and keeps the team operating efficiently with her wisdom and humor. A recognized muralist and painter, her art has been exhibited in shows including at the DeYoung, Mission Cultural Center for Latino Arts, Precita Eyes, and is in private and public collections. Her murals and paintings are in several books, and appear on the cover of “Latin American Women Artists of the United States” by Robert Henkes. One of her murals, Tribute to Mujeres Muralistas, can be seen on Balmy Alley right across from the office. She speaks Spanish fluently and is a veterana of La Missión, having moved there in 1959. Forty years after attending elementary school at Cesar E. Chavez elementary (then Hawthorne school), she was one of the lead painters of the Si Se Puede mural now gracing its playground, depicting Cesar Chavez, Dolores Huerta and farmworker icons. © 2019 50 Balmy Law P.C.